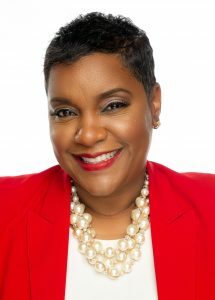 Ruth Jones Nichols, chief executive officer of the Foodbank of Southeastern Virginia and the Eastern Shore, will be the keynote speaker for Tidewater Community College’s 68th Commencement Exercises on Monday, May 13, at the Ted Constant Convocation Center. Jones Nichols is a previous recipient of TCC’s Martin Luther King Jr. Community Distinguished Service Award. She became CEO of the Foodbank of Southeastern Virginia and the Eastern Shore in 2016. Previously, the Hampton Roads native served as executive director of the YWCA South Hampton Roads. She holds a Ph.D. in social work from the Catholic University of America, a master’s in social work from the University of Pennsylvania and a bachelor’s in sociology from the College of William & Mary. Ruth Jones Nichols will be the keynote speaker for TCC’s 68th Commencement Exercises. More than 1,300 students will graduate, including five from TCC’s inaugural class of STEM Promise Program scholars. Recipients of the Women’s Center STEM Promise Program scholarship pay no tuition or fees to complete their associate degrees in science, technology, engineering and mathematics-related disciplines. All will transfer to four-year universities with junior class standing. 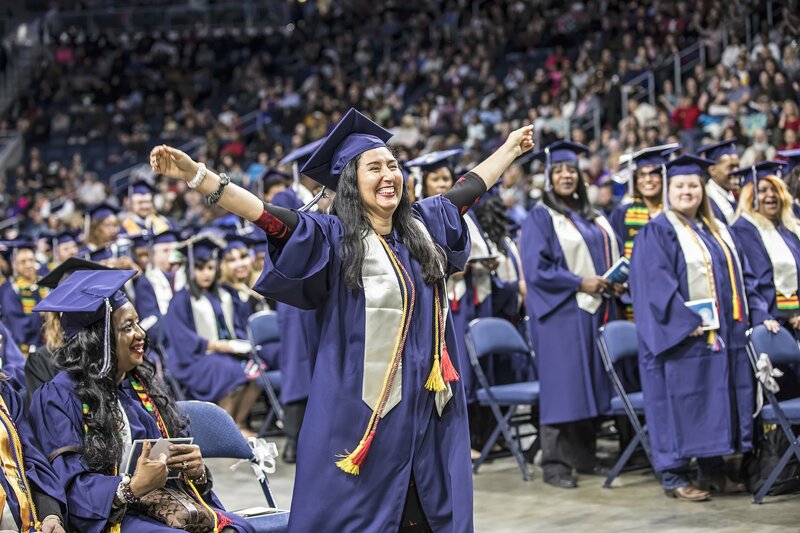 Thanks to expanded partnership programs with Chesapeake Public Schools (CPS) and Portsmouth Public Schools (PPS), TCC will graduate its largest class ever of dual enrollment students from both cities. Fifteen of those graduates earned career studies certificates in mechatronics. These students were enrolled in a special career pathway that included taking selected classes in their high schools for the first two years, to work toward a recognized industry credential and in-demand careers in advanced manufacturing. If they choose to continue their education at TCC, they will be able to achieve associate degrees in mechatronics in just one year. Fourteen CPS students will graduate with career studies certificates in electrical wiring for technicians; 13 additional will receive career studies certificates in welding; and seven more have earned career studies certificates in pharmacy technician. Six Portsmouth Campus students will graduate with the Governor’s Medallion, awarded to high school students who complete associate degrees while still in high school. All six will receive associate degrees in social sciences and enter four-year colleges as juniors. In addition, two students from PPS will graduate with career studies certificates in maritime welding. The student speaker is Charleston Yancey, who is graduating with his Associate of Science in Social Sciences. The Norfolk native, one of nine students from the college nominated to the Phi Theta Kappa 2019 All-Virginia Academic Team, will transfer to Virginia Wesleyan University this fall to work toward a bachelor’s in psychology.